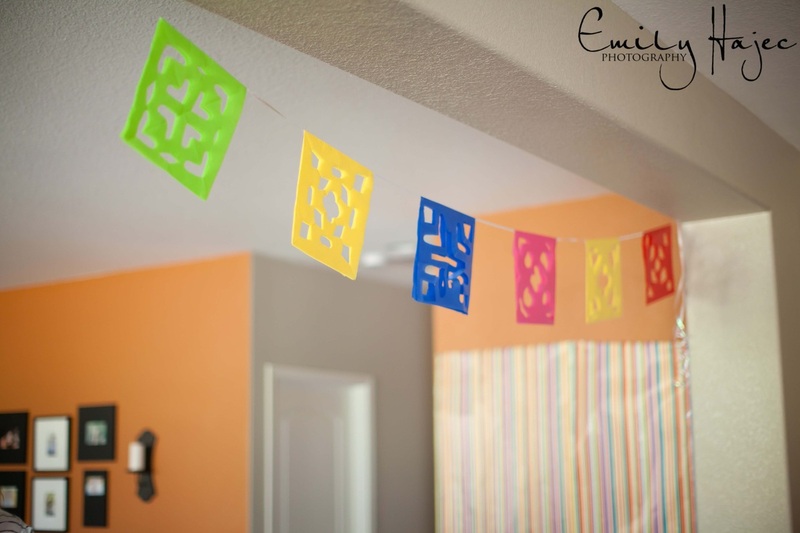 A First Fiesta: It's All In The Details! 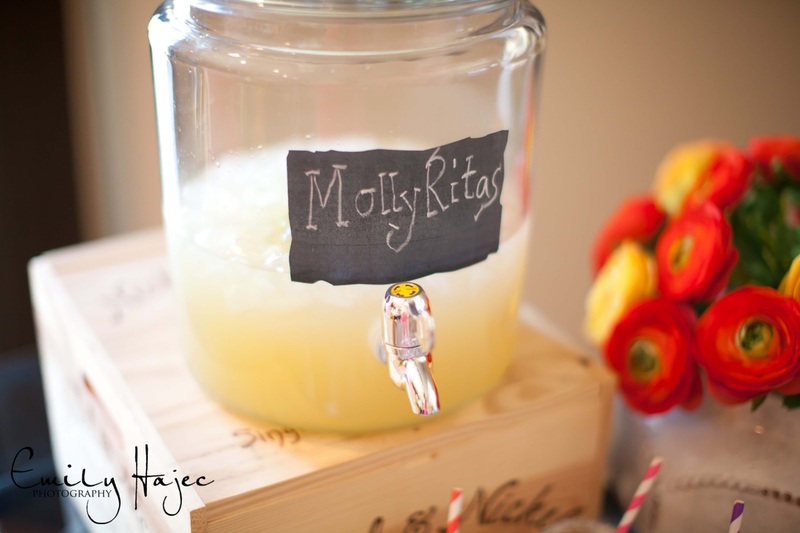 First and foremost, a big shout out to all our friends and family who attended Molly's First Fiesta! We had a lot of fun, and it was a very festive and special day! It meant so much to celebrate such an important and memorable milestone with the people who love and support us. 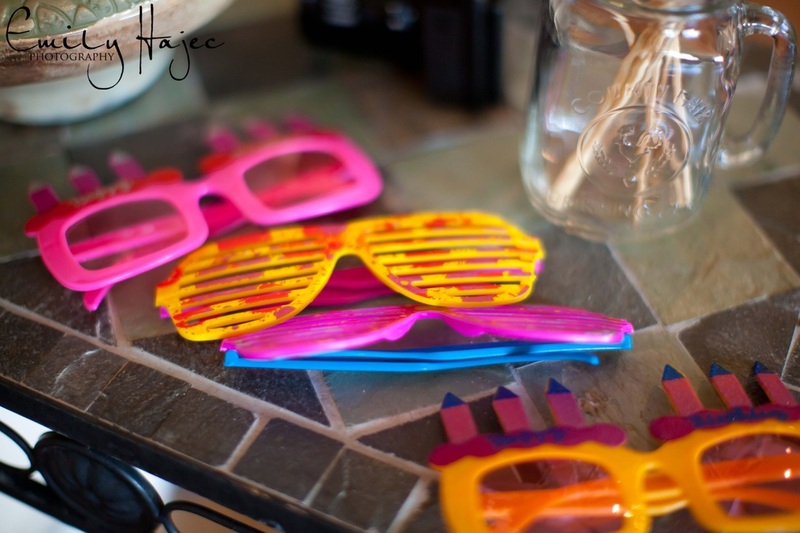 As the proud mama, I had a blast planning and Pinteresting in preparation for the big party! 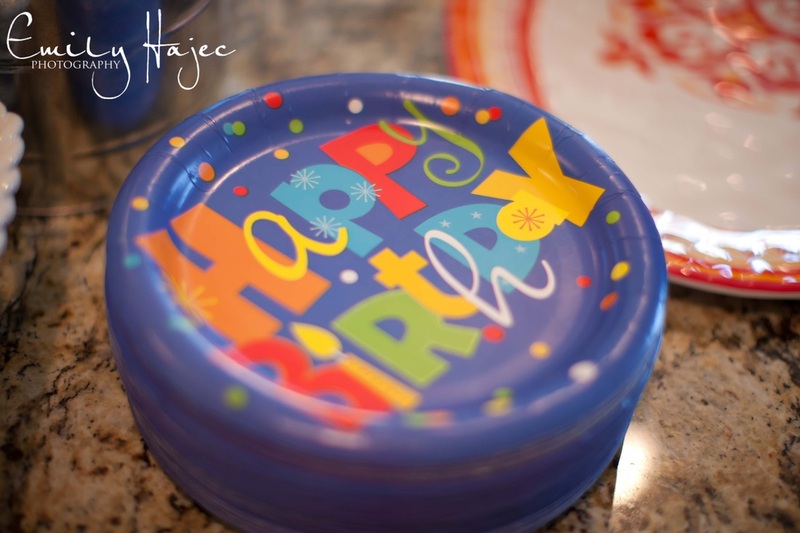 As some of you know, I love to get creative and crafty for special occasions. I am all about the DIY! But, I'm also all about ease and affordability. 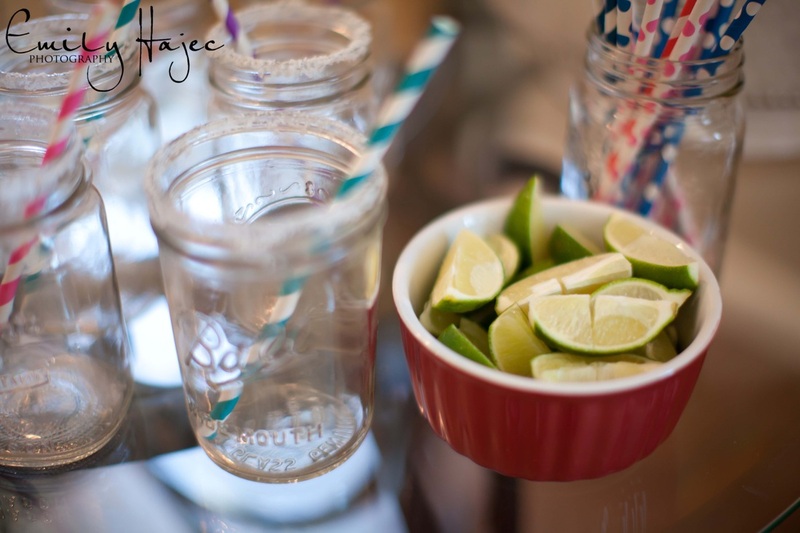 So for this "Fun Stuff" blog post, I decided to post some images of a few of my favorite details from the fiesta...including some "how-to" links and info in case any of you have an upcoming party and are feeling inspired. 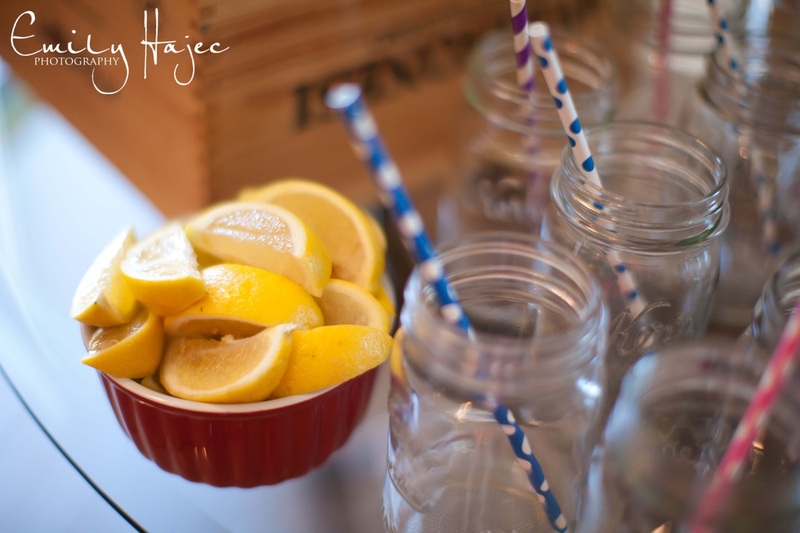 Many of my clients are mamas themselves, so I thought it would be fun to share ideas :-) Pin away! 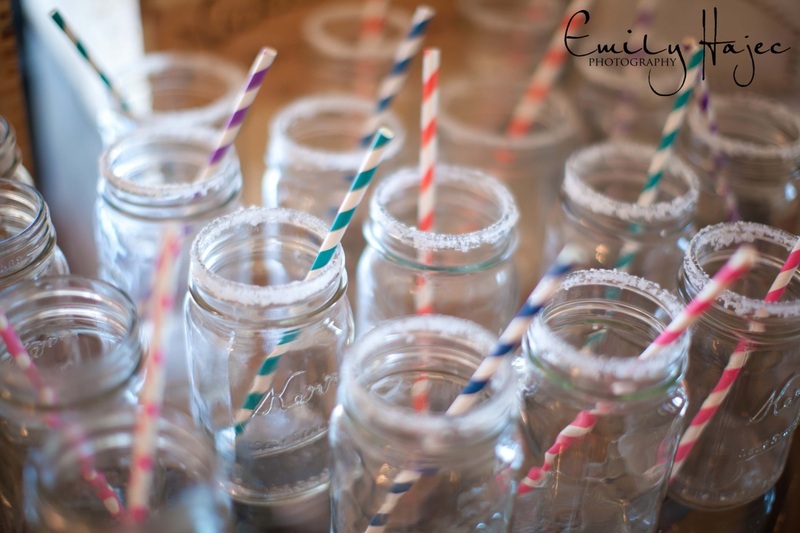 **All images are Copyright 2013 Emily Hajec Photography. Images may not be altered in any way, and may not be used, printed, copied, and/or shared without written consent. This includes posting images to social media websites, cropping of images, and/or editing in any way. On the menu?? 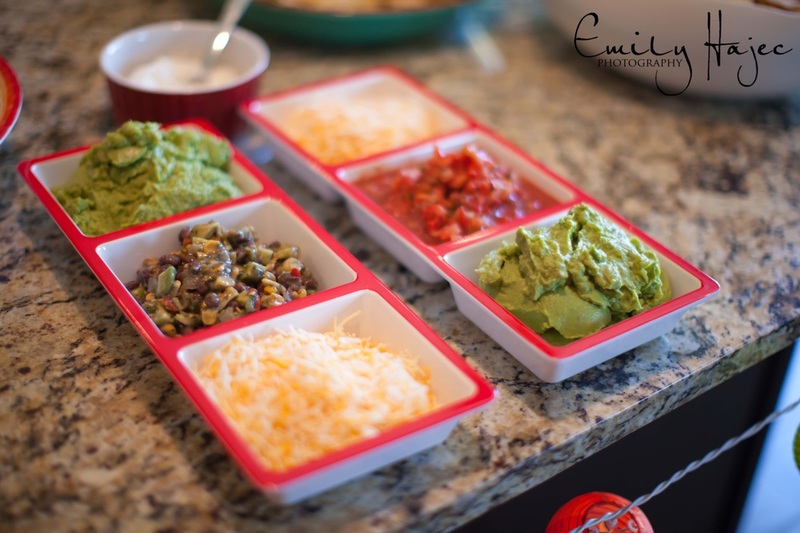 TaMollys and a GuacaMolly Bar! 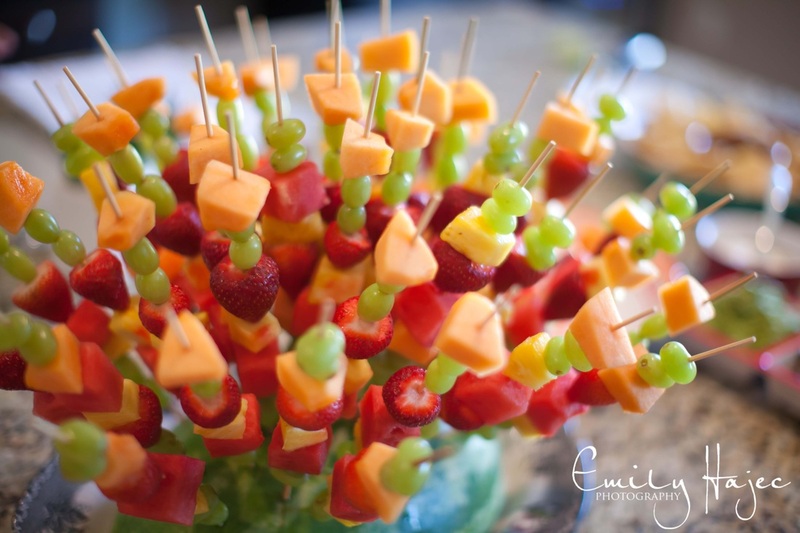 These fruit kabobs are so beautiful and delicious! 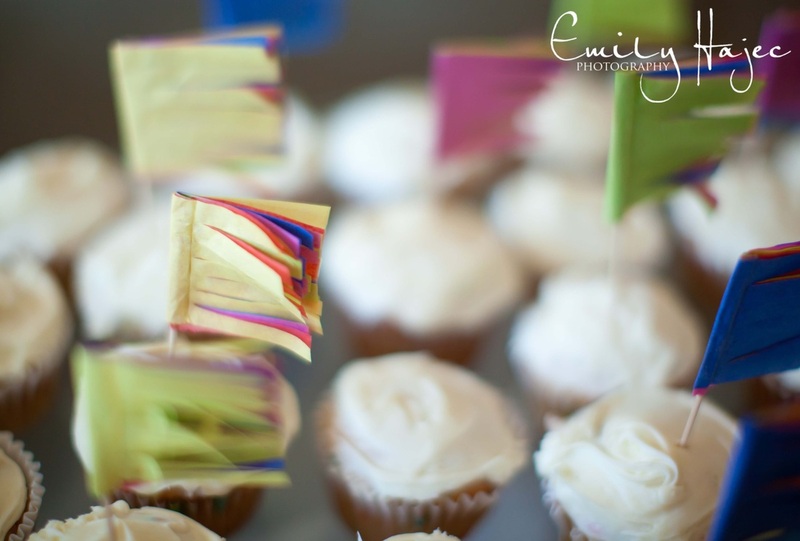 An easy, edible centerpiece for any party! All you need to do is cut the watermelon in half, put a variety of fruit on skewers, and then stick the skewers in the rind of remaining half of the watermelon...easy-peasy! 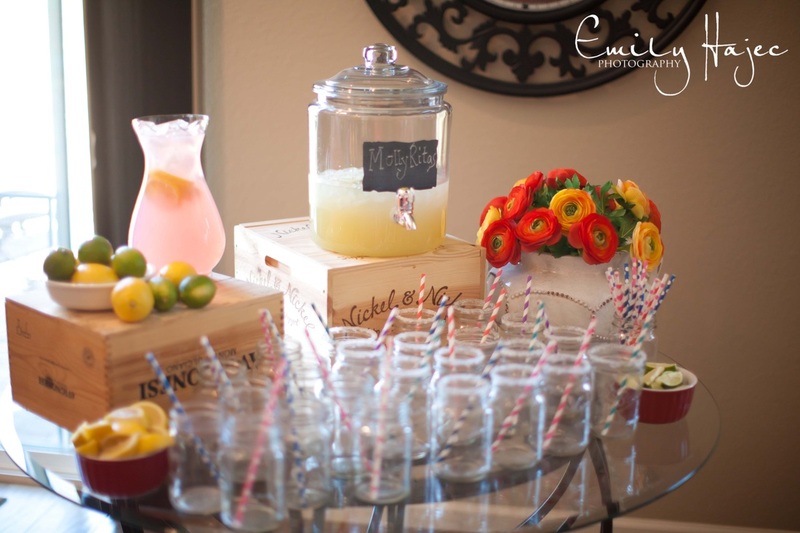 It's so adorable and festive....a creative way to incorporate a fruit salad into the menu at your next event. I actually think some of the guests thought it was decor at first...but they quickly discovered it was a delicious and nutritious treat! 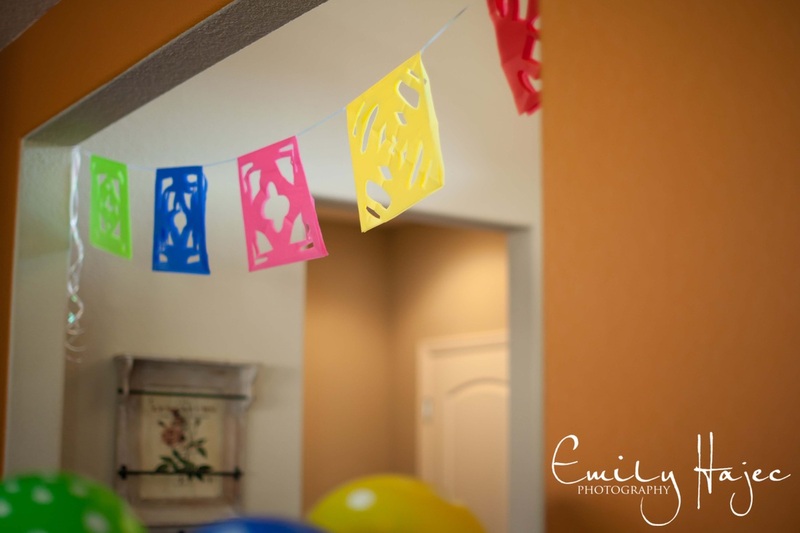 For the fiesta garland, I headed to the Dollar Tree for the materials. 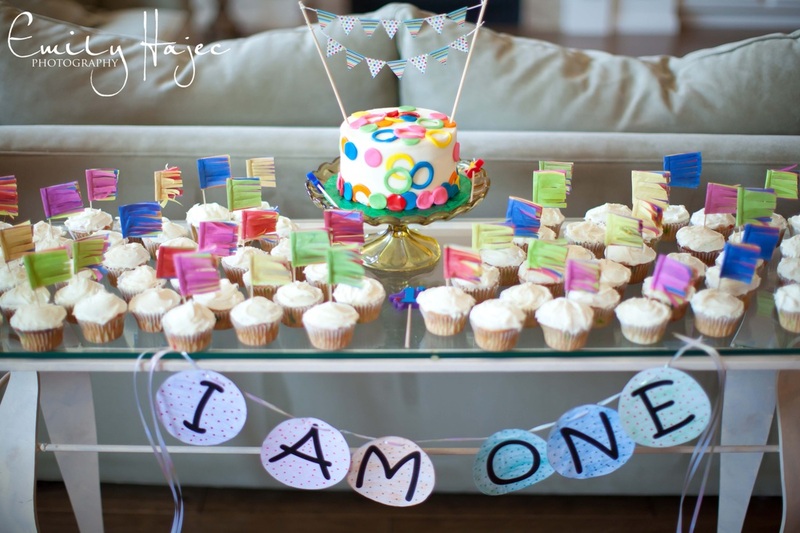 Click HERE to find out how I made these colorful banners! 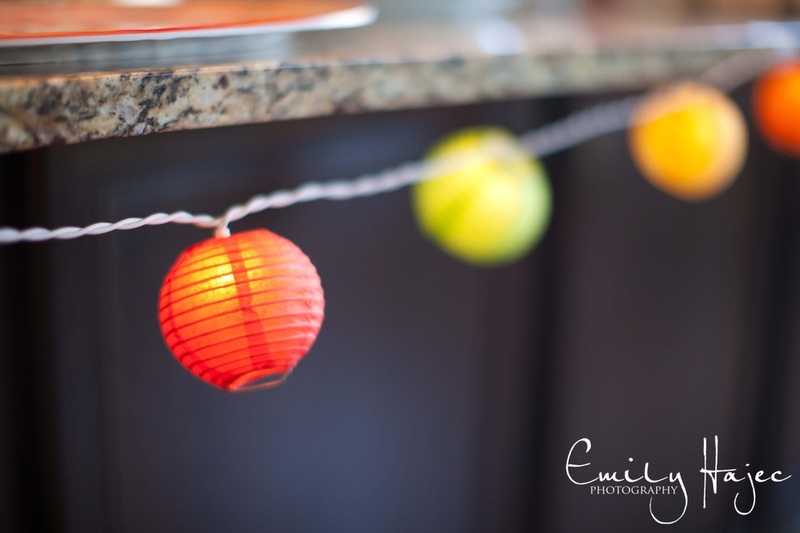 Love the polka-dot balloons as an easy, inexpensive switch from the standard solid colors! Purchased from Party Town here in Chico, Ca. This "I AM ONE" banner was so easy! I just printed the letters, colored them in with pencils and markers, cut them out, and glued them on to some leftover card stock I had lying around. Then I took some ribbon and strung it through to make a banner...done! Cake design from Tiers of Joy. 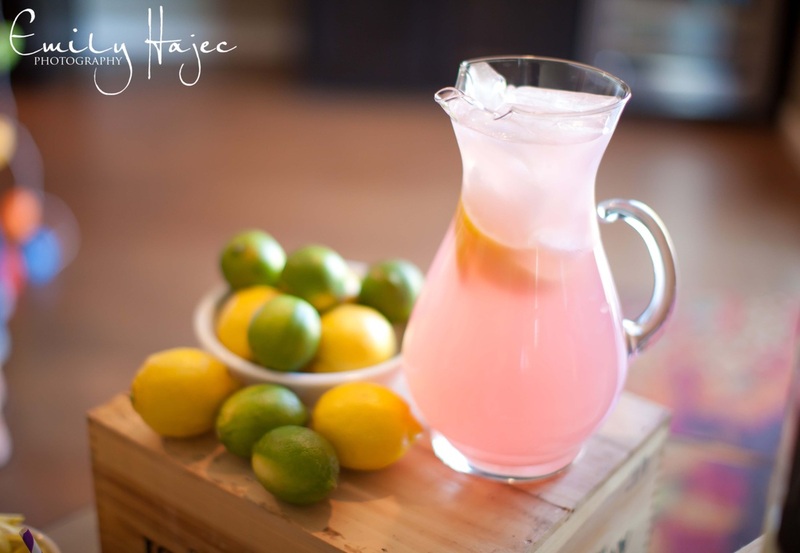 Delicious and beautiful! 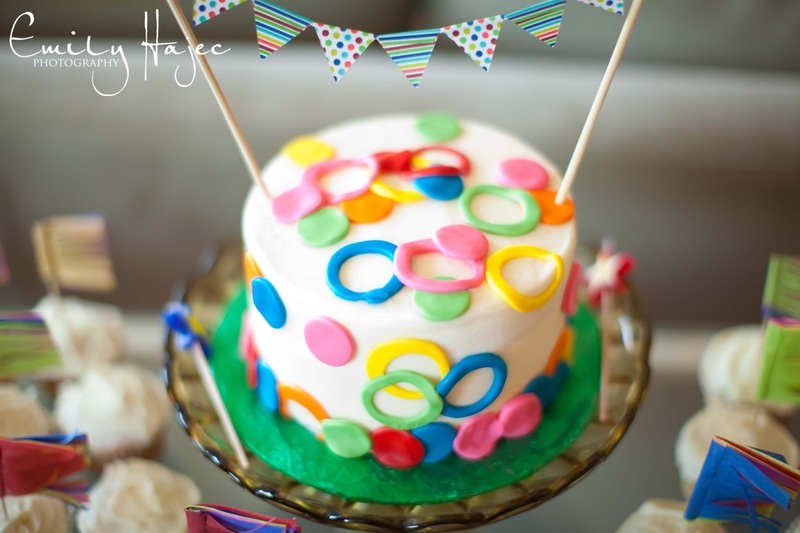 Cake banner purchased in-store at Target here in Chico! 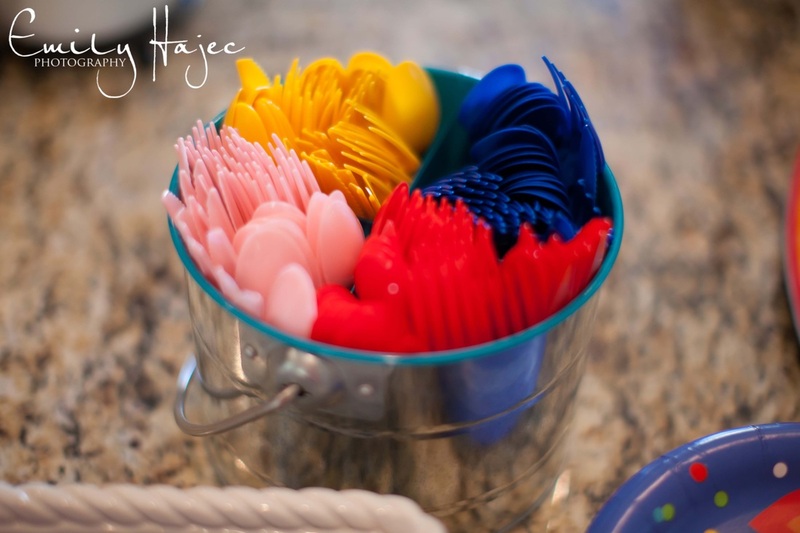 Click HERE to see how I made the cupcake toppers! Again, Dollar Tree for the materials! 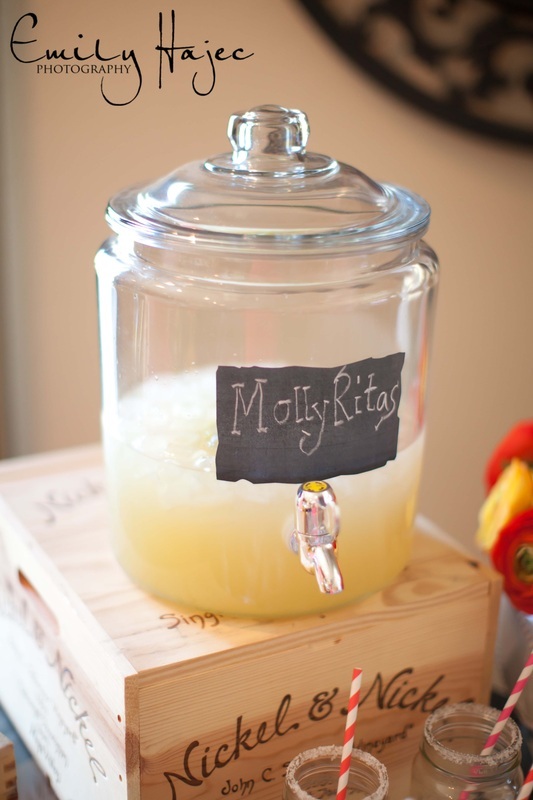 Molly Pop, Molly Pop, mmmmm mmmm Molly Pop! 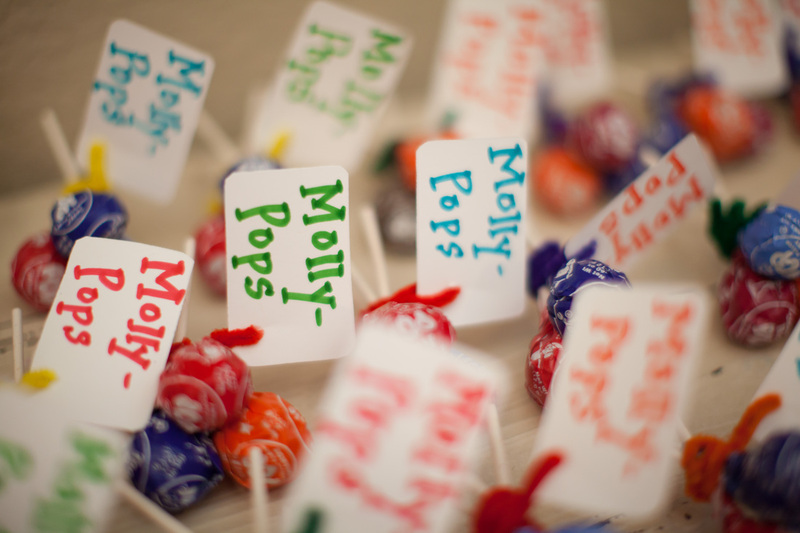 Chenille straws + paper + markers + Tootsie Pops = easy, colorful, sweet favors for our guests! 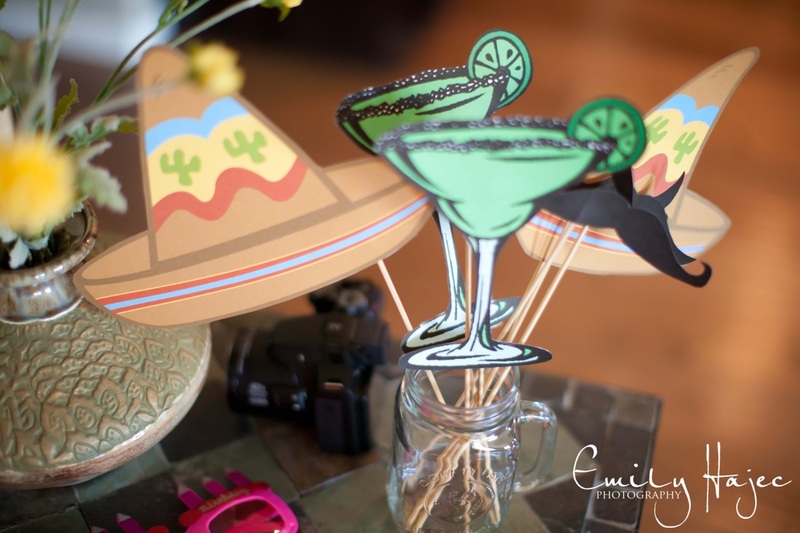 Free templates for the photobooth props found HERE, HERE, and HERE! 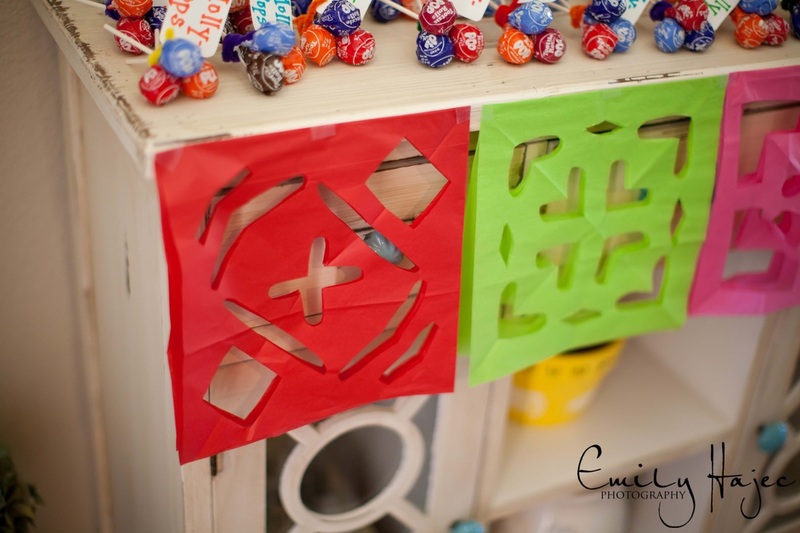 Used skewers and tape to put them together. Printed on cardstock. Back drop was some festive wrapping paper found at...yes...the Dollar Tree! This bad boy took the most time, but when it was finished, it made an awesome centerpiece for the gift table. 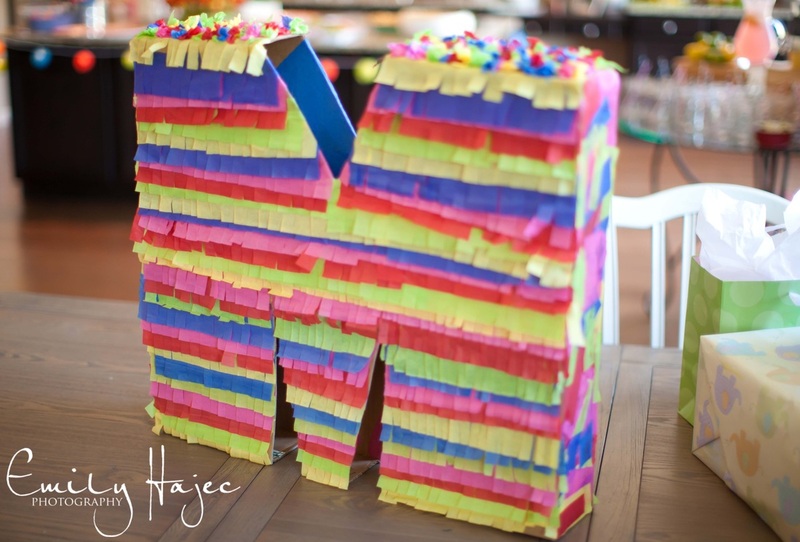 An "M" pinata! I didn't actually fill it wilth candy because it was so darn cute, and I wanted it in tact as a keepsake :-) Click HERE to see how I made it! Materials used were all found at the Dollar Tree.